Eating disorders are known to have high relapse rates and lengthy treatment times. Even though a person might be “in recovery, they continue to struggle with body image and disordered eating. If you or someone you love has ever struggled with body image or disordered eating, you know how difficult it can be to heal your relationship with food and your body. Tools and strategies to address thoughts and prevent behaviors can be effective in managing disorder eating symptoms, but often the underlying eating disorder lingers. As an eating disorder therapist, and someone who has recovered, I know how frustrating and defeating it can feel as recovery drags on. A promising intervention that is becoming more widespread in both treatment centers and during individual therapy sessions is EMDR (Eye Movement Desensitization Reprocessing). Known as an intervention to overcome the psychological effects of trauma, EMDR is an evidence-based treatment shown to effectively decrease or eliminate symptoms associated with Post-Traumatic Stress Disorder (PTSD). As the community became aware of how effective EMDR was in treating trauma, more and more clinicians have begun applying EMDR as an intervention with all kinds of other concerns, such as depression and anxiety, and as a way to promote recovery from an eating disorder. Given that trauma is often a significant contributing factor to an eating disorder, it makes sense that a trauma intervention, such as EMDR, could help. In the world of eating disorder treatment, we often use other evidenced-based practices such as cognitive therapy and family based therapy. These approaches are an important part of learning how to manage behaviors, but too often do not address the underlying reasons for an eating disorder or disordered eating. I believe that effective eating disorder treatment is more than just stopping the eating disorder behaviors. For true recovery to occur, addressing the underlying issues of trauma needs to happen. 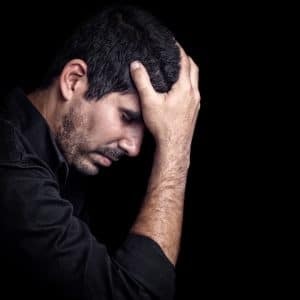 If a person’s trauma history is left untreated, they are at risk for relapse or may turn to other maladaptive coping mechanisms like using alcohol or substances, cutting, extreme exercise, or other high-risk behaviors. EMDR can heal the trauma that caused the eating disorder in the first place. At times, the prospect of a healthy relationship with food and your body can feel overwhelming and maybe even impossible. Given the relevant research and experiences with clients, I truly believe EMDR can be a powerful and effective tool that can really support a person during the recovery process. It takes time, but recovery from an eating disorder, poor body image, or disordered eating is very much possible.